What’s buzzin’ for our Hornets? Get our latest announcements! 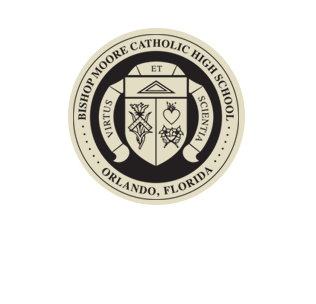 Bishop Moore Catholic High School, the largest private Catholic school in Orlando, Florida, serves families in the 9th–12th grades. We are dedicated to providing our students with “Virtus et Scientia” (virtue and knowledge) through educational excellence in a Christ-centered environment. Please take some time to browse our website to learn more about BMC, and consider joining our family. Welcome, families, to Bishop Moore Catholic High School. I encourage you to browse our website to learn about our school and catch up on the latest news and events at BMC. We take great pride in our academic, artistic, and athletic programs—they are truly exceptional. But above all, we are a Catholic community. AT BMC, we give students the spiritual tools they need for a rewarding relationship with God through religion classes, liturgy, and retreats. Our spiritual connection and commitment to excellence sets us apart from other schools. We invite you to consider Bishop Moore for your families’ educational needs. 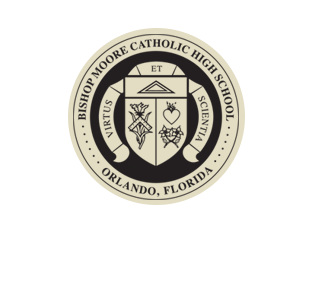 Stay up-to-date with everything going on here at Bishop Moore Catholic High School by visiting our News page and our Calendar page often!